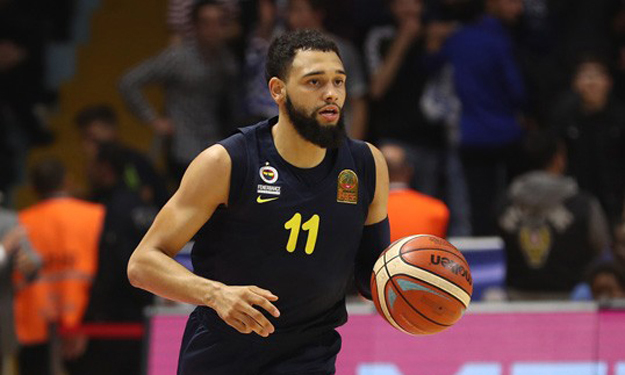 Tyler Ennis is out with an ankle injury which he suffered in Fenerbahce’s game against Büyükçekmece. Tyler Ennis went down in the first minutes against Buyukcekmece and was immediately taken to the hospital. His fall seemed nasty and with a statement, Fenerbahce confirmed so, as the first tests on Ennis revealed a fractured left tibia. The player was successfully operated on Monday, as the team announced. That being said, no further information about his recovery time has been revealed yet, which only means that Fenerbahce is on the market for a qualitative point guard to replace Ennis while he remains out of action. Fenerbahce unanimously paid a visit to the injured player at the hospital after the game. “I hope that he will recover and return to us as soon as possible. Tyler we are with you. Stay strong, please. I don’t know, maybe we should mention that, perhaps, this is related to the question between the FIBA and the Euroleague. There are many matches in the NBA, but there are more opportunities to relax in the summer months. There are better conditions. Perhaps this can be taken into account when such injuries occur, for the rest of the players. I hope that Tyler will recover fast”.